WILD NW Action Alert #290: Advocate for the safety of wildlife and people by asking your senator to fund wildlife crossings! In north-central Washington’s Okanogan Valley, there’s a short stretch of Highway 97 where more than 350 deer are hit and killed by vehicles each year. Every day, commuters, truckers and other travelers are wary of becoming the next accident. Collisions take a grave toll on local wildlife, too. But there’s an opportunity to end this senseless loss of life. Both people and mule deer need to move. We’re working to create safe passage for both on Highway 97. Please tell state senators to include at least $3 million in funding for Highway 97 wildlife undercrossings in Washington’s 2019 Transportation Budget! For years, we’ve worked with local residents and community leaders, the Colville Confederated Tribes, and the Okanogan Chapter of the Mule Deer Foundation to raise awareness about the need for wildlife crossings in this stretch of highway where it bisects a mule deer migration route. Through our collaborative Okanogan Wildlife Crossing Campaign and the support of more than 570 donors, we even raised $200,000 to pay for the first crossing where the highway passes Carter Mountain Wildlife Area. We’re excited for construction to begin this year, but state funding for more undercrossings and wildlife fencing is needed to keep both people and animals safe in the Okanogan Valley. Please contact state lawmakers today using our simple form! We’re advocating for a comprehensive Safe Passage 97 project that includes three wildlife crossings between the city of Omak and the town of Tonasket, sparing the lives of hundreds of deer and reconnecting habitat for threatened species including Canada lynx. The Washington State Department of Transportation (WSDOT) is supportive, and has completed a scoping plan for the first phase of the project, including our privately-funded undercrossing and two others. A graphic rendition of how one wildlife crossing under Highway 97 in the Okanogan Valley would look. Local leaders are on board, too. Funding in the 2019 Transportation Budget has support from both Senator Short and Representative Maycumber of the 7th District, as well as Okanogan County Commissioners, the Colville Tribes, Central Washington Latino Community Fund, the City of Omak, Okanogan Tourism Council, Washington Backcountry Hunters & Anglers, trucking and freight associations, the National Wildlife Federation, and more. With such strong public support for a project that’s a win-win for people and wildlife, it’s time for the state to act to prevent deadly accidents on Highway 97. Please send a letter to state senators urging them to include full funding for the Safe Passage 97 project in Washington’s Transportation Budget! If you can, add a short personal comment explaining why this project is important to you, such as a story about hitting or nearly-hitting a deer on the highway. Thank you! Suggested comments copied below. You can also contact your state senator here. I’m writing to urge you to include at least $3 million in funding in the 2019 Transportation Budget for a very important and exciting public safety and wildlife project in Okanogan County—it’s a win-win for motorists, freight transportation, mule deer and other animals. The Safe Passage 97 project will install three wildlife undercrossings on a stretch of Highway 97 between Riverside and Tonasket that will reduce vehicle collisions with deer by as much as 50 percent. In addition to supporting the safety of drivers, this project will save Washingtonians $2.5 million per year and keep hundreds of deer alive for the public to enjoy. Senator Short and Representative Maycumber submitted requests for $4.3 million in funding for this important effort to both the Senate and House Transportation Budget committees. The House passed a Transportation Budget last week that included $1.5 million for the project, but more is needed. I am asking you to include at least $3 million for this very important project! This ask also has support from Okanogan County Commissioners, the Colville Confederated Tribes, the City of Omak, Conservation Northwest, the Okanogan Chapter of the Mule Deer Foundation, Central Washington Latino Community Fund, Okanogan Tourism Council, Washington Backcountry Hunters & Anglers, trucking and freight associations, and more. Thank you for taking the time to listen to the concerns of your constituents, and considering the inclusion of funding for the Safe Passage Highway 97 project in the 2019 Transportation Budget. 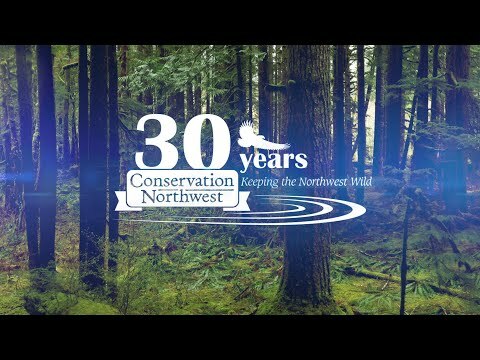 More information on collaborative efforts supporting Highway 97 wildlife crossings can be found at okanoganwildlifecrossing.org, safepassage97.org, and in this short video from our partners at the Mule Deer Foundation.